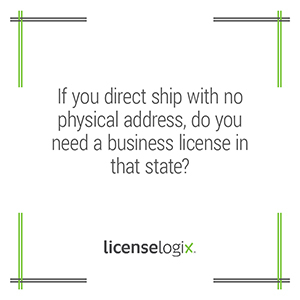 If you direct ship with no physical address, do you need a business license in that state? Generally not. Unless a business owns a distribution center or has a physical location within the state they are commonly not required to obtain a state wide business license. If the business employees any residents of that state, you may need to obtain the proper license and registrations.